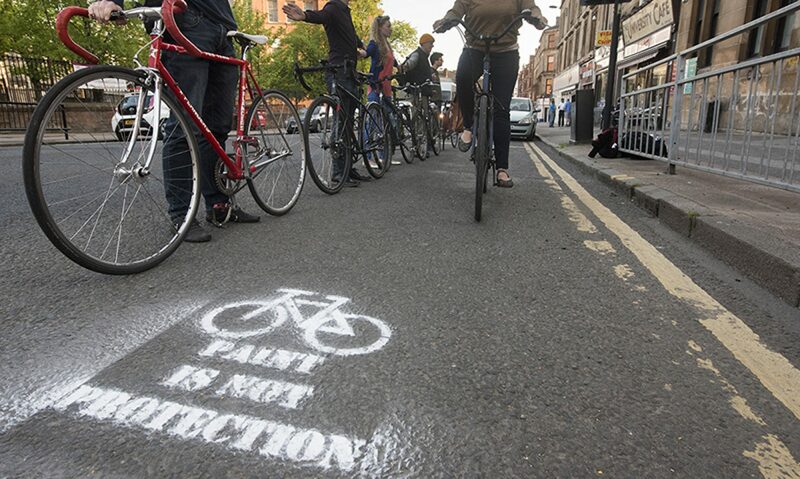 GoBike Public Meeting and AGM: just 16 days to go! Yes, just 16 days to go to the GoBike Public Meeting and AGM. 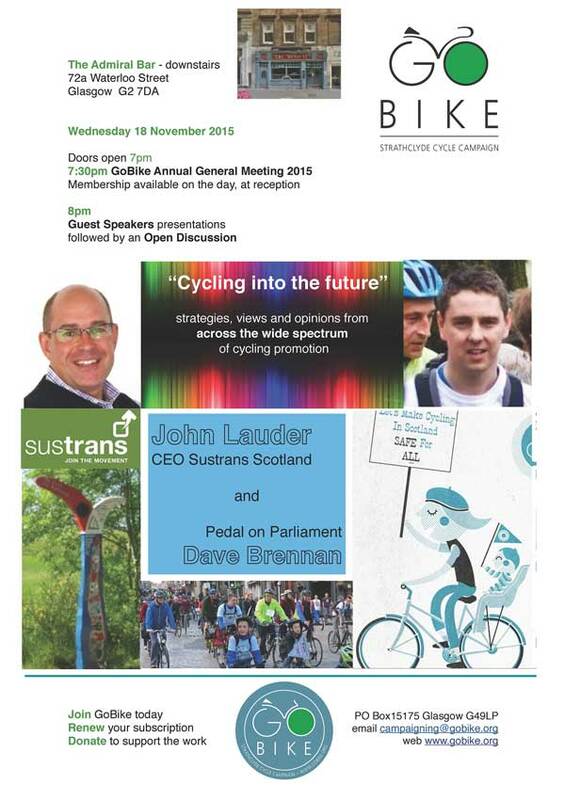 Doors open 7pm for the AGM that starts at 7:30 and the Public Meeting with John Lauder from Sustrans and Dave Brennan of Pedal on Parliament will be underway by 8pm. Venue is the Admiral Bar on Waterloo Street, Glasgow. 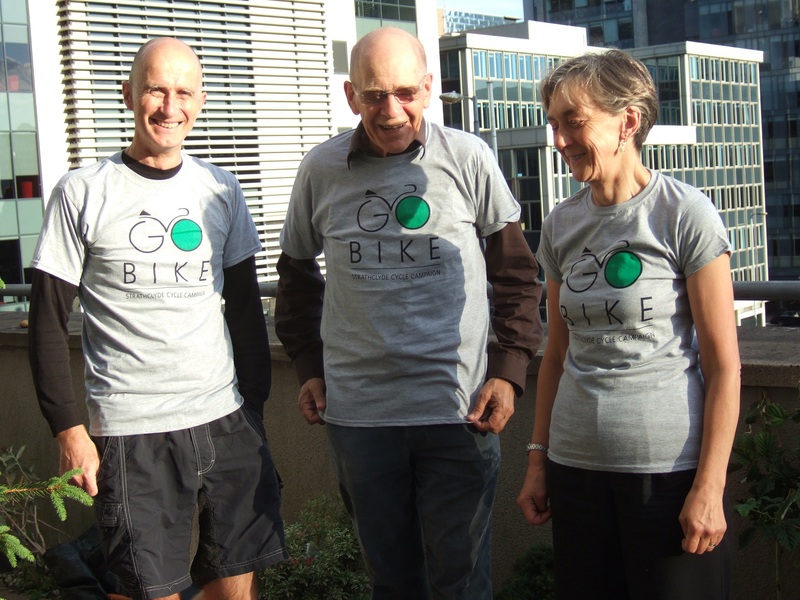 We’ve stocked up on GoBike t-shirts, so why not buy one at the meeting? Sizes from Small to Extra Extra Large available in regular fit, plus ladies fit medium and large. Price £10 or included in a minimum £15 annual membership donation (initial or renewal). The agenda for the AGM will be on the website soon; we’ll post when it’s available.